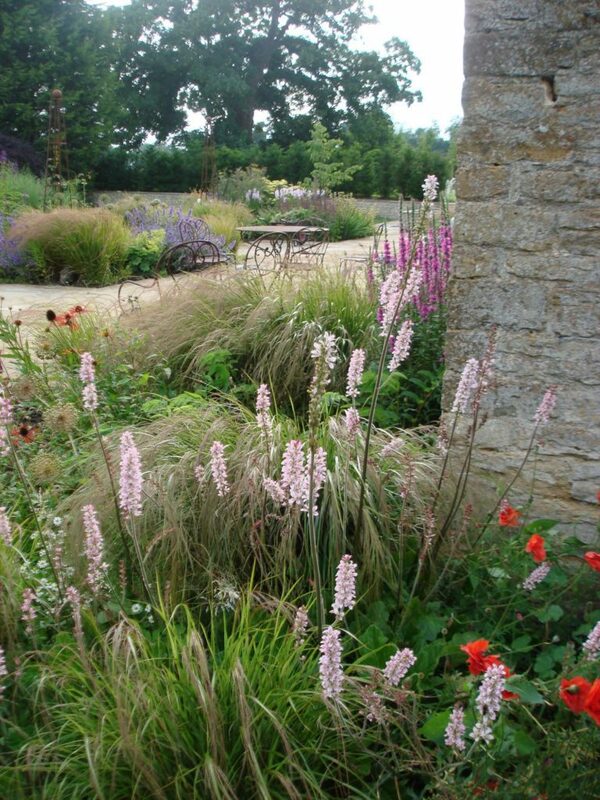 Where you can now see a rather elegant stone terrace and some borders there was a tarmac track along which tractors used to rumble and combines chug: not a problem for most farmers for whom the smell of diesel and hard work comes as a welcome fillip in the morning. 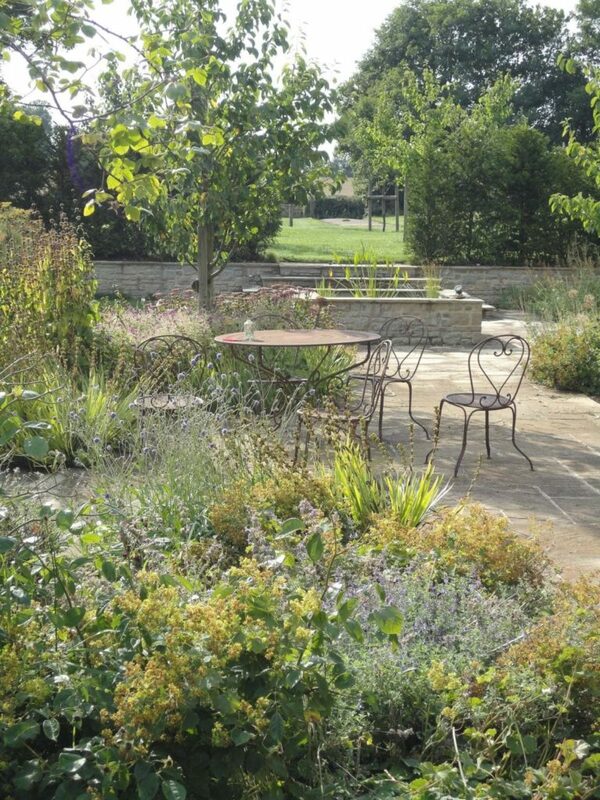 However, my clients were keener on gardens than throughways so the drive was moved to the other side of the house which allowed for plants and plenty of space for eating and loafing. 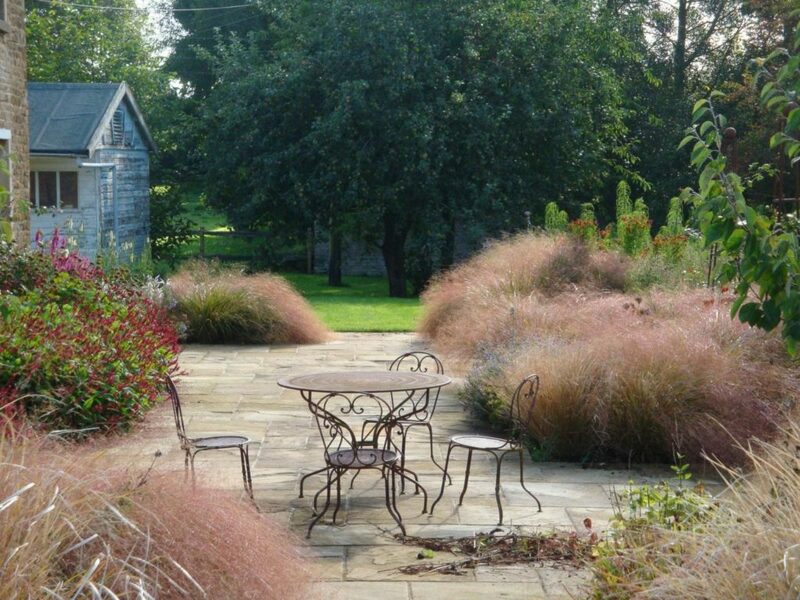 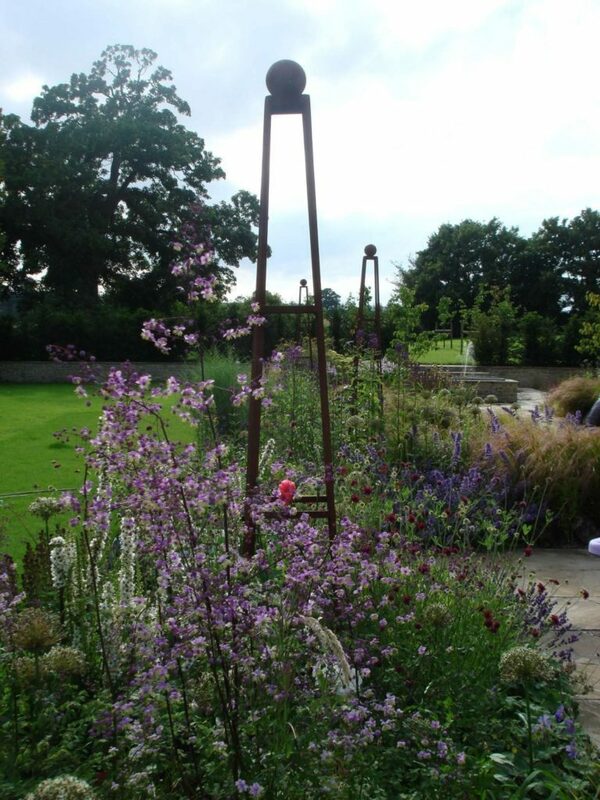 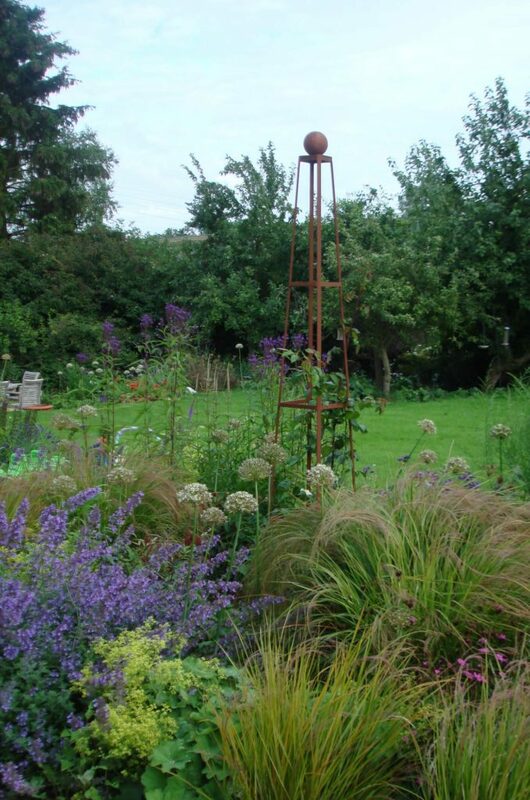 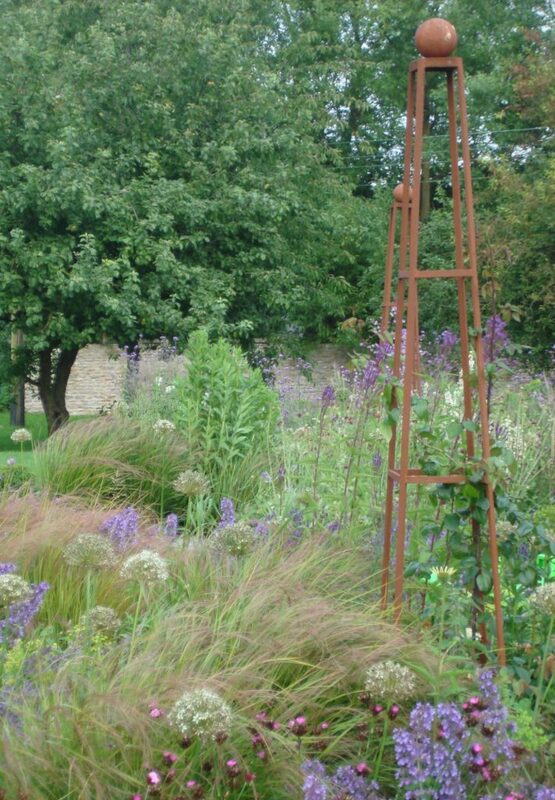 The tall rusted steel obelisks give year long height and a bit of permanent structure to proceedings while various herbaceous plants skip around their ankles making merry. 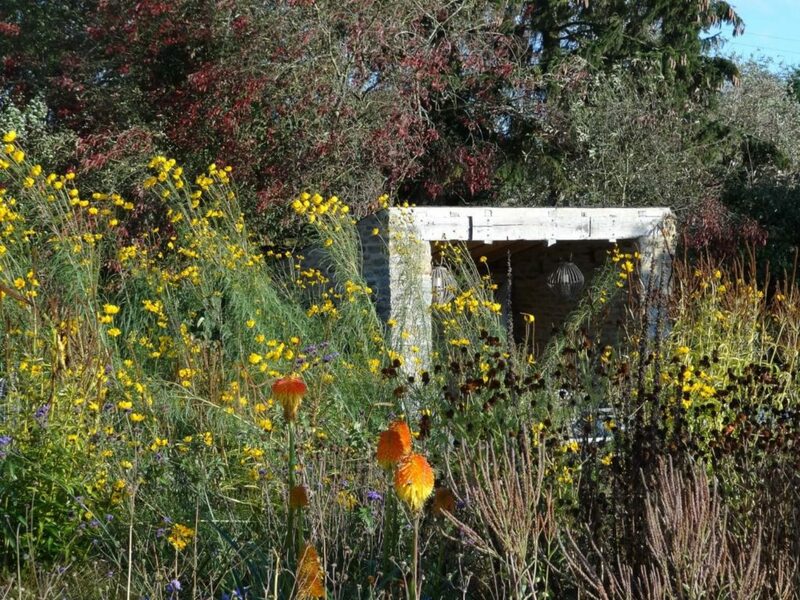 The little building that you can see looming behind that little spinney of yellow Helianthus salicifolius is affectionately known as the bus shelter: although, even in the days when the garden was a road, you would spend a long time waiting for a number 22.